Adopting a dive site is a part of a program that Project Aware created called, you guessed it, Adopt a Dive Site. Since the program’s launch in 2012, more than 26,000 divers have participated in Dive Against Debris reporting over 500,000 pieces of trash in more than 52 countries around the world. Adopt a Dive Site is a one of its kind underwater debris collection program. It provides important information about underwater debris to help inform policy change and improves the health of ocean ecosystems. 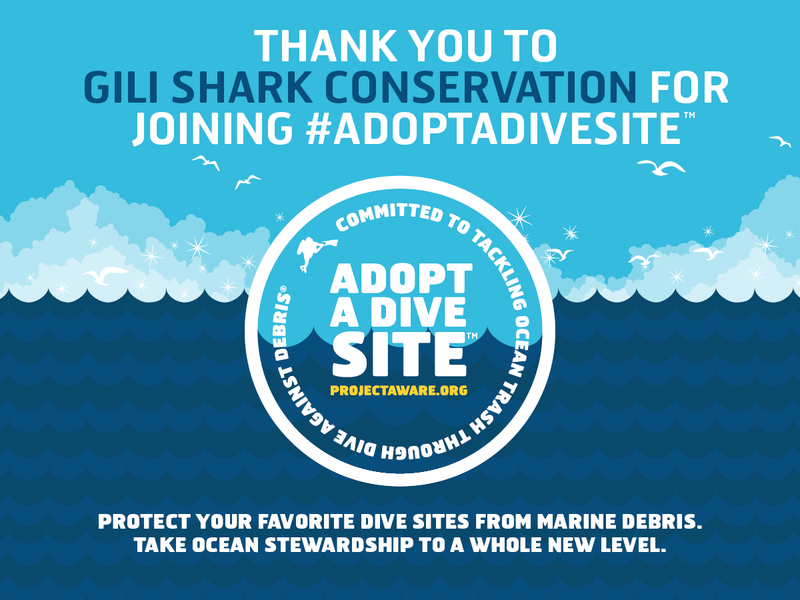 The Gili Shark Conservation has adopted the dive site Meno Slope through the Adopt a Dive Site program. Meno Slope is a lovely dive site just West of Gili Meno. Once a week our research team does a underwater clean-up dive at this site, and more than often we find rather interesting things. Such as large pieces of wood, metal poles, and kites. We also find plastic bags, wrappers, and plastic straws. The Adopt A Dive Site program allows us to lend a hand in keeping the ocean free from toxic and unsafe marine debris. Our trash does not belong underwater however more than six million tons of it enters the ocean each year entangling and injuring marine life and damaging critical habitats. Most of the debris collected is plastic! Together, we can work towards implementing sustainable solutions to remove plastic from our oceans and prevent it from entering it in the first place. Are you a diver and would you like to get involved? 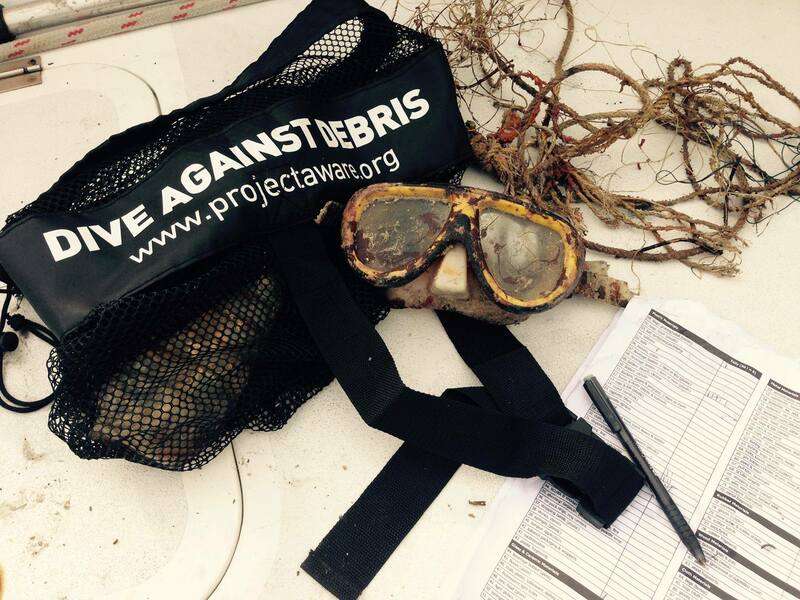 Visit the Project Aware website and learn about what you can do in Diving Against Marine Debris. APPLY NOW AND JOIN OUR RESEACH TEAM IN PARADISE!